I grew up in a faithful Christian home and cannot remember a time in which I did not know about Christ. I can remember every morning at the breakfast table memorizing Scripture with my mom. When I was about 4 years old I can remember sitting in my bed thinking about the truths that I had been taught. I do not know exactly how much I understood at the time, but I did know that some people were God’s children and some were not. So, I went out to my mom and and asked how I could be saved and prayed with her. Since then I have grown in knowledge and understanding. I have grown to know the love of Christ more deeply and to know that the world is full of people who are lost. My goal and desire in life is to spread the name of Christ to the world. Specifically, we are currently living in Cameroon and working with the Kwakum, a Bible-less people in the East Region. I am happy to be the husband of an amazingly godly wife and father of four beautiful children (see below). I grew up on a farm in central California and lived there until I went off to college. My parents both became believers around the time I was born and faithfully shared the Gospel with me. The good news of the Gospel “clicked” when I was at a Vacation Bible School and they talked about how the Lord was against us because of our sin. I knew of God but I did not realize he was against me until that moment. I remember being very afraid of God. They soon told me about Christ, about how he took the wrath of God for us on the cross and that if we have faith in him, he would cleanse us from all of our sin. It was then that I went forward to receive Christ as my Savior. I was three years old and from that point on my love for Christ and his Word has continued to grow. I am so grateful to my Lord for saving me at an early age and I am glad to serve him in Cameroon, but I mostly look forward to being with him in Heaven. 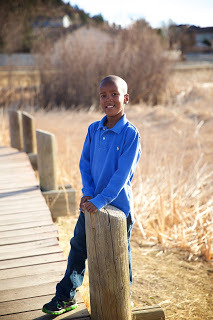 Kaden was abandoned on the side of the road in Ethiopia, Africa just one day after he was born (March, 2009). A man named Erjabo found him and took him to an orphanage run by Christians. Kaden was very sick and, in the opinion of the orphanage workers, close to death. They took him to the hospital and the director of the orphanage told us that he could not sleep for four days out of concern for Kaden. He was released back to the orphanage and we had the joy of adopting him 9 months later (Dec, 2009). We praise our God because, “He does not forget the cry of the afflicted” (Psalm 9:12). 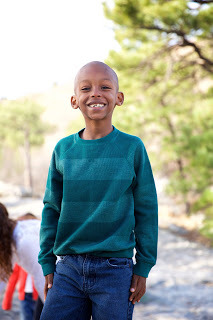 Kaden went from being abandoned on the streets to being our treasured son…all because of God’s kindness toward him. And in February, 2017 Kaden professed his faith in Christ through baptism in front of our friends and loved ones in our village in Cameroon. It is a joy not only to have him as a son, but also as a brother in Christ. If you would like to contribute to Kaden’s college fund, click HERE. 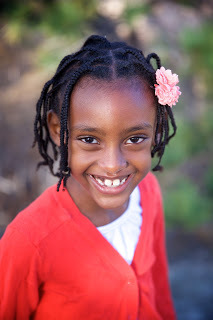 Makyra was born in Ethiopia on June 8, 2009 and sadly her mother died just days after she was born. In the midst of mourning for her death, Makyra was “forgotten” and went without any food for three days. The director of her orphanage said that she was forgotten by all, but not by our Lord. A government official put Makyra in a plastic bag and brought her to the orphanage. She was not breathing and had to be hospitalized for 11 days. 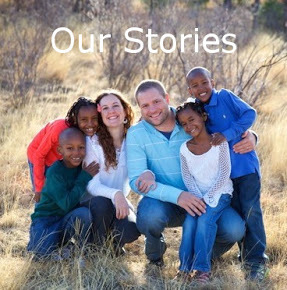 The kindness of the Lord through the Christian orphanage workers saved her life. We praise the Lord for not forgetting about Makyra. If you would like to contribute to Makyra’s college fund, click HERE. Elias was born in Ethiopia on June 11, 2010. Soon after his birth, his young mother brought him to the orphanage because she was unable to care for him. She told us that she was so happy that we were adopting her son because she believed that with us we would have a better life. After our meeting, she drove away and seemed very happy, like she did what was best for her son. We admire her courage and are also thankful that the Lord brought him into our home. If you would like to contribute to Elias’ college fund, click HERE. 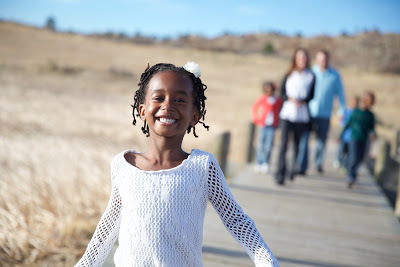 Zoey was born in Ethiopia, Africa on June 20, 2010. Her mother dropped her off at her parents’ house and never returned. 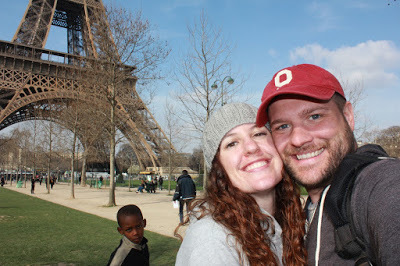 Zoey’s loving grandparents cared for her by taking her to a Christian orphanage. They have as many questions as we do as to who the father might be and what happened to their daughter. Her African name, Tarike, means “life” and before we knew this, we named her Zoey which means “life.” When we met her for the first time she was crawling at just 6 months old and was abounding in energy. This young one is very appropriately named as she is the most energetic, passionate person we have ever met. Our prayer for her is that the Lord would grant her spiritual life and that her zeal would be directed towards the Kingdom of God. Thank you God for Zoey. If you would like to contribute to Zoey’s college fund, click HERE.